This full colour A5 sized Prayer Guide has all the information within it to help make your Mile with Jesus day a success. 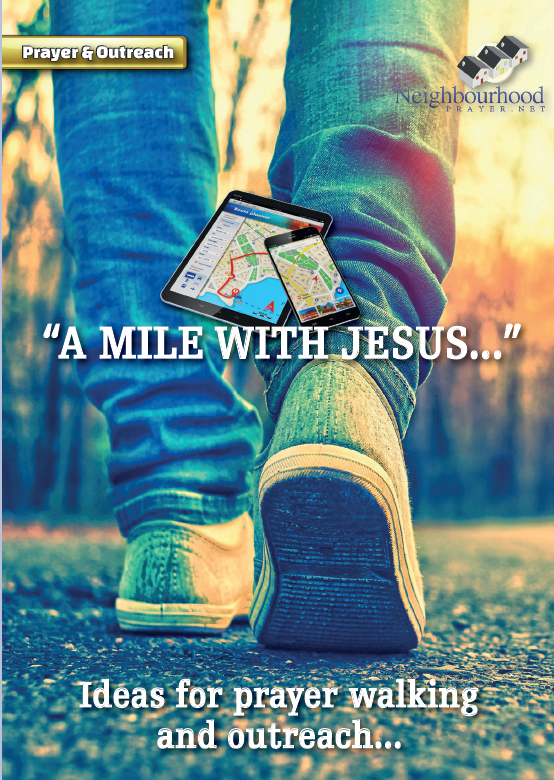 The Mile with Jesus prayer guide is one publication in three sections. Part 1) The Prayer Guide will have an A-Z of things you may come across while you are prayer walking, with three prayer points for each place. For example a Post office, a park, a betting shop, a school. Part 2) There are inspirational scriptures that you might want to use while walking. Part 3) Is for those who wish to use the opportunity as an outreach either as a church or a home group. 28 Pages in full colour, this neat prayer guide will enable you, your prayer group or Church to pray transformational prayers in and around your community. It is our hope that through this initiative, Crime, will fall, abuse will subside and God will visit the area you live in.